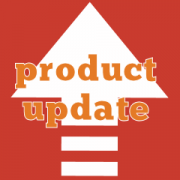 Fixed incompatibility with WooCommerce 1.6 related to price formatting. Rewritten logic used to format prices on product pages. Updated GeoIP library to v1.16, modified to prevent clashes with PHP geoip extension. Fixed bug that caused prices to be formatted incorrectly when WooCommerce was set to display the currency symbol on the right of the price. Improved logic used to display messages generated by the plugin to make it more polished and user friendly. Fixed a bug that prevented the Currency Selector from working properly in some circumstances. This update is a high priority hotfix, I recommend all Customers to download the latest version as soon as possible.